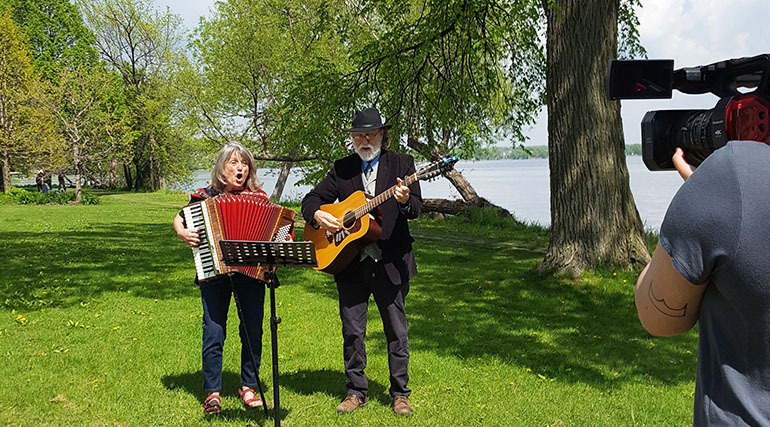 Lost Lou and Peter Barryman tune about conservation gets new life. Photo: Lou and Peter Barryman record the video for their song, "A Little Water"
Eleven years ago, Madison songwriting duo Lou and Peter Berryman wrote a little jingle, a short but important tune about water conservation called “A Little Water.” The new song had been commissioned by Madison Water Utility. 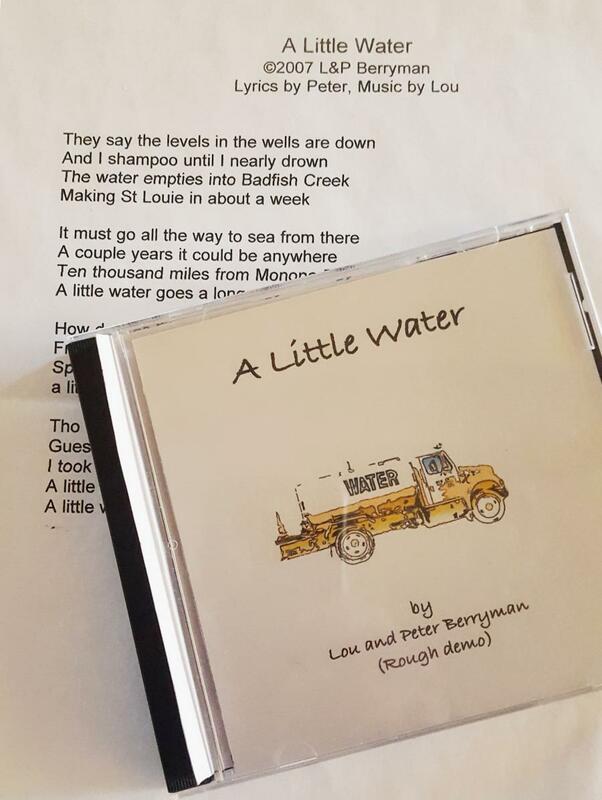 But when the little song arrived at Madison Water Utility, it was shelved. “We decided not to push the Lou and Peter Berryman song at that time,” says MWU Chief Administrative Officer Robin Piper. Back in 2007, the utility was facing growing public concern about naturally-occurring manganese in the city’s drinking water. Utility officials were focused on implementing a comprehensive water main flushing program and planning for the construction of filtration systems to deal with the problem. A catchy song about conservation didn’t fit. And that’s where the song would sit for nearly a decade. “We were disappointed because we were proud of it, and we wanted people to hear it,” says Lou. Over the years, utility staff members involved in the decision to record a jingle either retired or moved on. Few who remained had any idea a song ever existed. “We have been here the same as ever writing songs and being Lou and Peter Berryman for the last ten years. And in that time, Madison Water Utility completely forgot about us,” laughs Lou. But in late 2016, Madison Water Utility reached out to the Berrymans once again. The old CD had been discovered on an office shelf, and this time, the utility wanted to use it. “It’s like a miracle that it was found,” says Lou. But the utility did request a couple of changes to the original song’s lyrics. The utility also wanted its name to be part of the song. The new song—and an accompanying video made its debut on YouTube in June. “We were absolutely thrilled. To do something like this with something we believe in,” says Peter. It’s a song with an important message that doesn’t take itself too seriously.